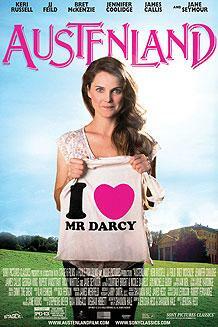 The romantic comedy focuses on 30-something and single Jane Hayes (Keri Russell), a seemingly normal young woman with a secret: her obsession with all things Jane Austen. But when she decides to spends her life savings on a trip to an English resort catering to Austen-crazed women, Jane’s fantasies of meeting the perfect Regency-era gentleman become more real than she ever could have imagined. Based on the novel by Shannon Hale (who also co-wrote the script), the film was written and directed by Jerusha Hess (writer, “Napoleon Dynamite”) and produced by Stephenie Meyer’s Fickle Fish Films. The film begins at 7:30 p.m. Tickets for “Austenland” are $6 for regular admission and $5 for senior citizens, Hope College faculty, and children and are available at the ticket offices in the main lobby of the DeVos Fieldhouse (222 Fairbanks Ave.) and the Events and Conferences Office located downtown in the Anderson-Werkman Financial Center (100 E. Eighth St.). Both offices are open weekdays from 10 a.m. to 5 p.m. and can be called at (616) 395-7890.